Clifford Brown's Joyspring opened the set with Stockdale's easy swinging piano style to the fore. The trio recently played a prestigious date at the Gateshead International Jazz Festival and, having been in the studio to record Origin (Stockdale's new album), this is a well-oiled working unit, a glance sufficient visual communication between the three musicians. Beautiful Love and Nostalgia in Times Square were choice tunes and two Stockdale compositions - Harbour Lights and Blues for Woody - could be said to be of similar quality. The blues weren't for Woody Shaw, rather Stockdale's dog Woody (sadly no longer with us). At this juncture bassist Gavin Barras laid down his instrument, checked his phone and announced he would have to be excused for a few minutes to feed money into a parking meter! Off he went. What to do? 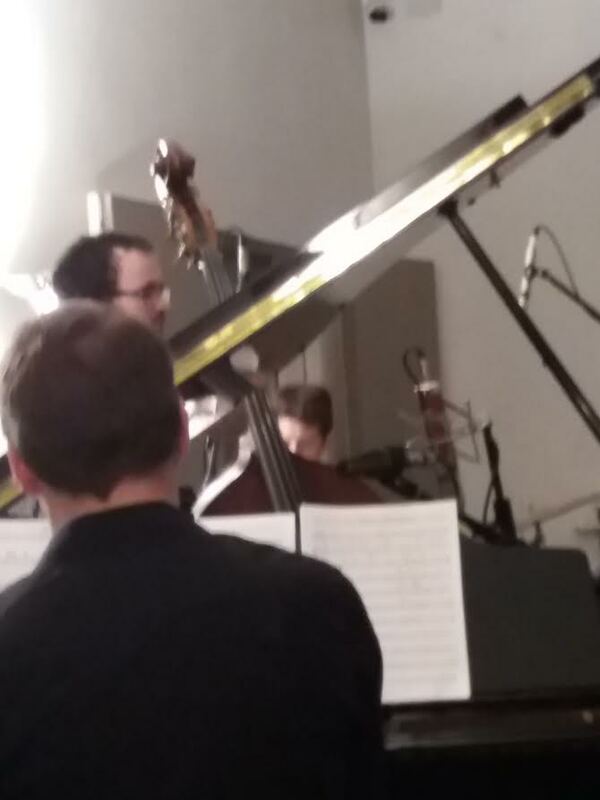 Stockdale is an improvising musician, so, he played a solo piano piece. Metropolitan Nocturne entertained the audience until Barras' return. The trio restored to its full complement, two further Stockdale tunes - Railtown and Nth Degree - were well received by the lunchtime crowd and, slightly beyond two o'clock, the one hour performance concluded with Out of Nowhere. A fine hours’ worth of swinging jazz piano, three compatible musicians, the Dean Stockdale Trio is looking forward to a Manchester Jazz Festival appearance in July. A return visit to Tyneside is highly likely and, as and when confirmed, it comes highly recommended.